Contact the Mango Maids team today to schedule your Saskatoon cleaning! Professional cleaning services can help keep your Saskatoon home or business clean in a variety of situations. Cleaning services can be regularly scheduled to maintain a clean and sanitized pretty. If you are in a time crunch, professional cleaners can work fast to property ready for any occasion. Professional home and business cleaners work with specified cleanliness and sanitation standards. Saskatoon cleaning services are designed around your schedule and lifestyle needs. You can trust Mango Maids with all your Saskatoon cleaning needs! Mango Maids is a professional team of cleaning contractors. We utilize custom and eco-friendly approaches to meet your specific property cleaning needs. Schedule a Saskatoon home or business cleaning service consultation today! Is your Saskatoon property in need of professional cleaning services? Then contact Mango Maids today! We will work around your schedule to make sure you are always coming home to a stunning property. We have the equipment, and skills to meet your specific cleaning needs. Mango Maids can clean each room in your property, after or before a party, a move or regularly to maintain a clean home. Call Mango Maids or get a free home cleaning estimate on our website today! Contact us today, for your Saskatoon kitchen cleaning needs! Running a business is no small task. Your busy schedule sometimes simply cannot fit the time ad effort to clean a business. That is why Mango Maids provides professional janitorial services to our values commercial Saskatoon clients. Saskatoon janitorial services can provide a range of break carpet, air and surface cleaning services for your business. Keep focused in reaching your business dreams, and leave your Saskatoon commercial cleaning needs to Mango Maids! Saskatoon basements can be the entertainment and activity centers of a home. A dirty basement can quickly become much less inviting and even safe to spend time in. Utilize professional cleaning services to make sure your basement dirt is kept to a minimum. Mango Maids can clean your entire basement area, entertainment systems, manage basement dust and provide many other great basement cleaning services! If you are looking for quality carpet cleaning services in Saskatoon contact the team at Mango Maids. We proudly service the carpet cleaning needs of the city of Saskatoon, offering timely and eco-friendly services. Mango Maids uses hypo-allergenic, environmental-friendly and non-toxic products for your commercial & residential carpets. We will keep your carpet visually pleasing, long-lasting and most importantly clean. * Our cleaners are certified and fully trained, following the warranty requirements and recommendation of the Manufactures for stain-resistant carpeting. 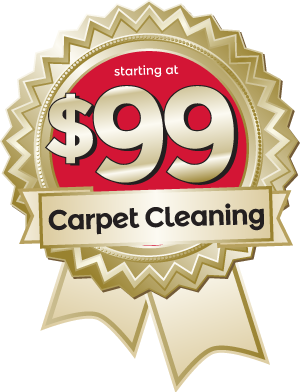 * Our carpet cleaning service are great for the removal of spots, pet stains, and foul odors. * Mango Maids uses advanced steam carpet cleaning to remove ground-in soil while using quick dry systems. Contact Mango Maids today for professional cleaning services in Saskatoon – fill out your information below and our customer service team will be in touch with you shortly!